The simple style of this combine of kundan bangles is unquestionably their best side, enhancing their overall magnificence. The simple design of this pair of kundan bangles is definitely their best aspect. 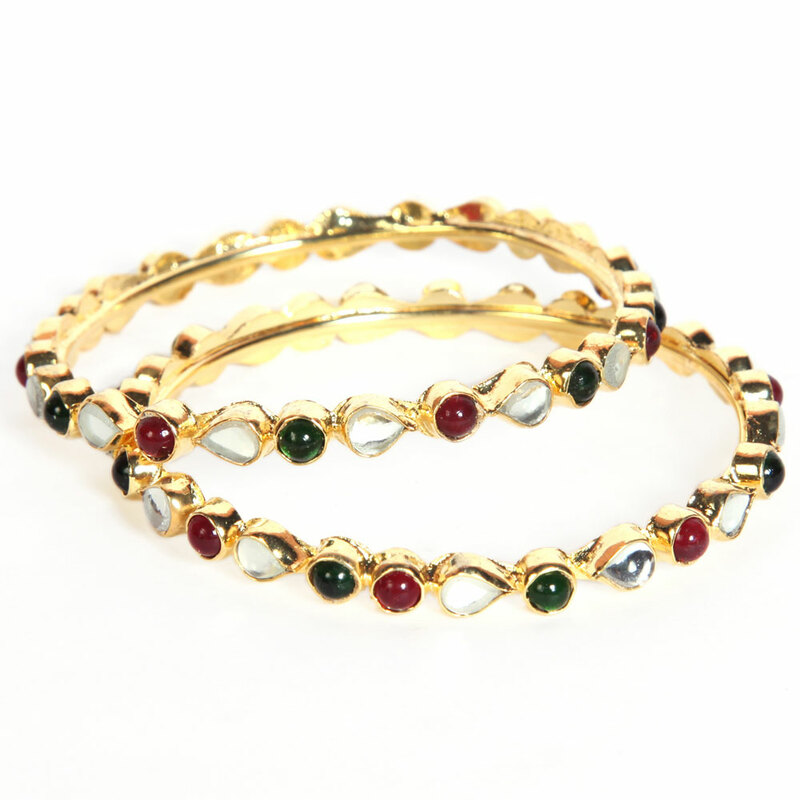 Moulded from micro gold plated brass metal, the bangles are decorated Read More..beautifully and in a classic manner with red and green circular kundan stones as well as white teardrop shaped kundan stones, enhancing their overall magnificence. Show Less..